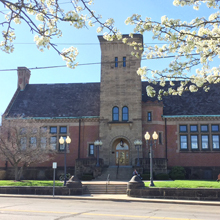 Public Library of Steubenville and Jefferson County, which includes the Main Library, six branches and a travelling bookmobile, serves nearly 90,000 citizens in eastern Ohio. In an effort to provide their patrons with popular electronic, downloadable content, the library system wanted a digital magazine platform that was easy to use and easy to integrate. Flipster® stood out from its competitors because it offered the top magazines that patrons were already reading in print, the pricing was easy to understand, and the platform was easy to use. Following Flipster’s January 2015 launch, the library system saw an immediate increase in magazine use and has seen consistent growth ever since. 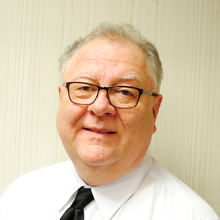 Due to the shift toward online services, leaders at Public Library of Steubenville and Jefferson County knew they needed to provide their patrons with a digital alternative to print magazines and periodicals. This presented a challenge to Library Director Alan Hall, who has witnessed the progression of technology in the library industry and its impact on patron habits. As Hall and his staff researched possible digital magazine solutions, it became clear that not all platforms were the same. Some charged outrageous platform fees or had difficult login procedures. Others didn’t offer top magazines or flexible subscription options. So the decision to go with Flipster was an easy one. The library system began subscribing to Flipster in January of 2015. Hall said Flipster’s format and wide selection of magazines pleased him. “When we were researching vendors, Flipster seemed to be a product that covered the type of magazines that were in our collection in a paper format,” he explained. In addition to the easy-to-use format and wide range of magazines, Hall also appreciated Flipster’s straightforward pricing structure and lack of hidden fees. Many times, Hall said, librarians rule out worthwhile services because it seems like they cost too much money. But he encouraged librarians to consider the benefits that digital magazines provide over print magazines. “We were getting six copies of People magazine throughout the system, and with Flipster we are getting 500,” Hall said. The library currently subscribes to 46 titles including must-have magazines such as Consumer Reports and Sports Illustrated and popular DIY magazines such as Crochet! and HGTV Magazine. To meet the needs of younger readers, the library subscribes to a number of children’s magazines including Boys’ Life and Cricket Media titles such as Ladybug. The library system also enjoys using EBSCOhost Collection Manager (ECM) to maintain its Flipster subscriptions. ECM allows library administrators to easily select new titles, add additional copies, and renew existing subscriptions. Accessing Flipster is easy; all a patron needs is a library card and an Internet connection. It’s also easy for patrons to download the Flipster app for Apple® and Android™ phones and tablets and Kindle Fire tablets and browse the magazines their library offers directly from the app. To promote Flipster to current and potential users, Hall’s public relations department takes advantage of free brochures and marketing materials provided with their Flipster subscription. They also find success marketing Flipster via social media, specifically Facebook and Pinterest. Since launching Flipster, the library has seen a significant increase in magazine circulation, averaging approximately 3,000 downloads per month. The release of Flipster has also prompted new users to visit the library and request a library card, which has led to an increase in use of their core services. The introduction of Flipster has also given the library an opportunity to better connect with the community. The library system offers technology sessions where patrons can bring in any mobile device and learn how to use it. Hall said Flipster is the perfect service to showcase in these sessions. Hall said magazines have changed a lot since the 1970s when he was 16 and worked as a page shelving books at his local library. He remembers the challenge of digging up magazine back issues in the library basement.